Geo Science Group is an engineering company located in Charlotte NC. 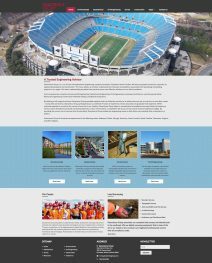 They did not have a website and wanted NC Web Pros to develop a responsive website that represented their company's existing branding and showcase their special services. The site was created in WordPress, which the client currently maintains.